I never thought the day would arrive, that our bathrooms would ever be renovated. Our tradie has been held up on a few jobs and after a few false starts, he arrived this morning to relieve us of our dated bathrooms. We are putting a new shower in our ensuite and tiling around the vanity and in the main bathroom, a new shower and retiling around the existing bath and vanity. It took us 11 months to try and decide what kind of tile and colour to go with. In the end we decided on rectangular white tiles. We felt it was best to stick with a neutral colour. I can’t wait to see them on the walls. Fingers crossed the job won’t take too long. 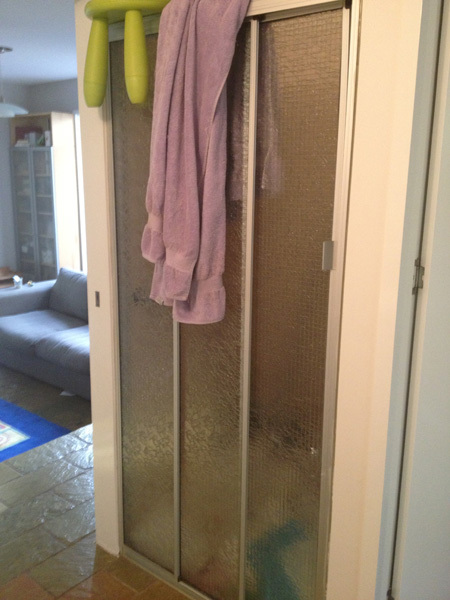 Smoked glass shower screen, be gone! I could never get those horrid tiles clean! 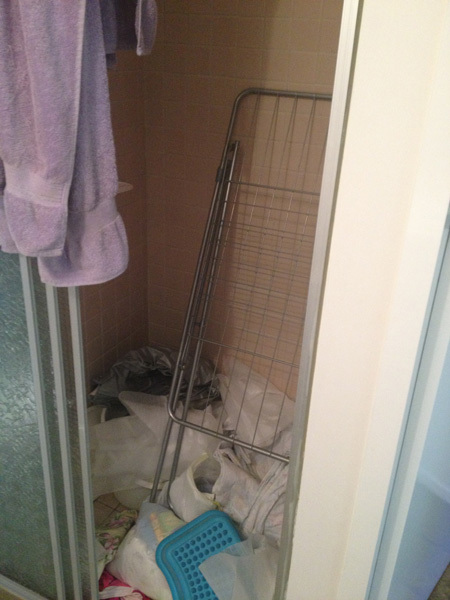 This is the current state of the ensuite shower. Much improved I say! 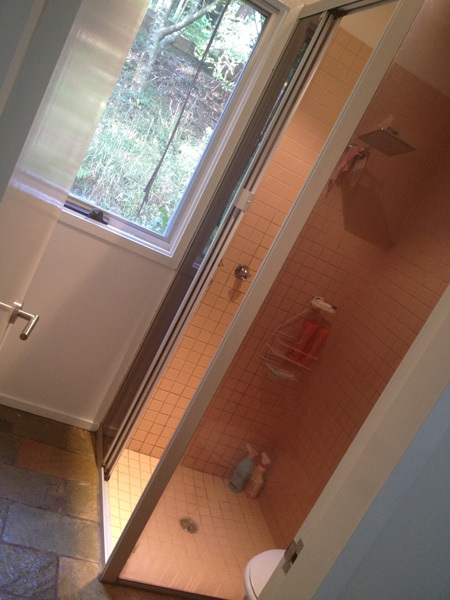 This is the shower in the main bathroom. Before. This is the main bathroom shower currently. I have now dealt with all the crap that was hiding out in there. The big news is, we are actually doing the house up to sell. Maybe as soon as next month, if all goes to plan. 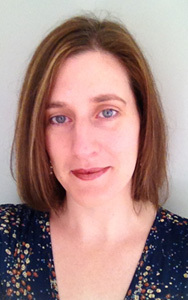 We are looking to have a big change, but where to, we are uncertain. Greg is wanting to have a shift in career, still in IT, but in different direction. He wants to get more involved in writing Apps for phones and other mobile devices. It’s kind of scary and exciting at the same time. I’ll keep you posted as to what eventuates. I still have to share our New Zealand adventure with you too! Ah, blogging, it’s either feast of famine isn’t it! 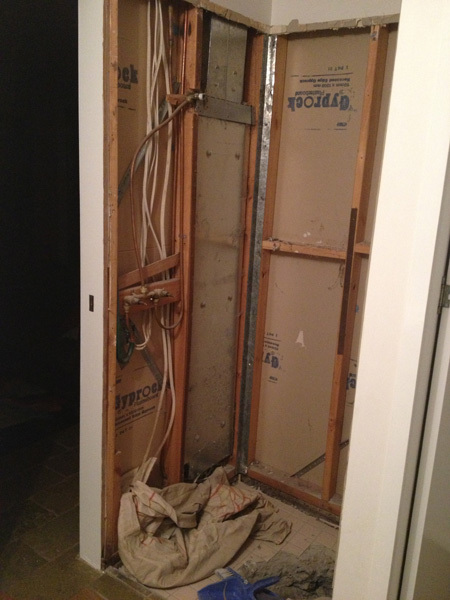 This entry was posted in Family Life, Renovations (Renos 101!) 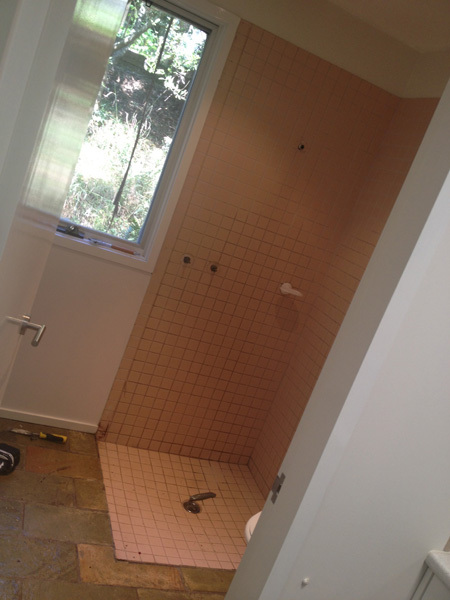 and tagged Bathroom renovation, Ensuite renovation, home renovation. Bookmark the permalink. Such a change just removing the dated shower screens. Looking forward to seeing the progress. Good luck with the renos. Shepparton is a great place to work…… Sure you would love to move up here. Sure you have much more beautiful locations in mind however. Really must catch up soon. Have a lot to catch up on looking at your blog. Love to Tennielle on her birthday today, give her big hugs for me. Her pressy is on its way, but I have not been doing to well lately so moving a little slower at the moment. Wow! That’s big stuff… the reno and the career change! Hope they both go smoothly! 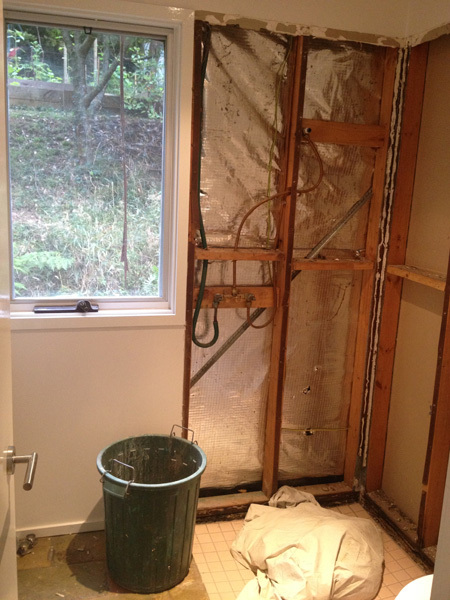 We are getting ready to do a bathroom reno too. Our downstairs bath is disgusting and small. I’m sure it will take me forever as well to pick tile. We just did a cosmetic update to our main bath- paint and new tile.